The global biochip market, driven by high demand from proteomic and genomic applications, along with growing adoption of personalized medicine, is expected to reach $25.8 billion by 2024 according to new research published by consulting firm Grand View Research. According to the report, other factors affecting the growth of the sector include the anticipated launch of novel products using biochips in the diagnostics area, as well as technological advances that will improve accuracy, resolution, and preparation procedures. Lower materials costs will also help lower costs further influencing demand. 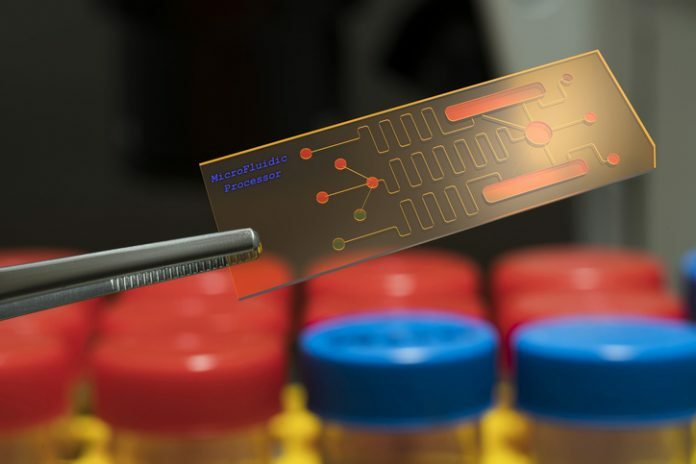 Continued miniaturization of biochips is expected to make biochips increasingly attractive for genetic sequencing methods in areas such as cancer genomics. The use of biochips is also expected to help reduce the overall cost of genome profiling, a factor likely to drive demand for the next step of genetic analysis—protein expression analysis. The growth in the number of such protein profiling studies is expected to directly fuel demand for genomic and proteomic labeling techniques through to forecast period. Currently, the U.S. market accounts for $7.63 billion in revenue, which represents more than 45% of the global demand for biochips. This owes to a large installed base and continued government incentives intended to increase personalized patient care. High market usage of next-gen sequencing techniques for molecular diagnosis and treatment used with microfluidic techniques also add to the country’s large share. Asia, however, is expected to experience the fastest growth for biochips based on raised healthcare spending on R&D pertaining to genomics, proteomics, and next-generation sequencing, as well as growing patient awareness regarding developments in diagnostic technologies, specifically in countries with developing economies. DNA chips are the largest revenue-generating segment of the biochip applications. Significant contribution in this area comes from the use of biochips in cancer diagnostics and treatment, and drug discovery applications. DNA chips accounted for around one-third of the global market revenue in 2015. The other notable contributing segments to application of biochips include gene expression, single nucleotide polymorphism genotyping, genomic studies, and agricultural biotechnology. While market demand is expected to continue increasing, the report authors note that associated technologies and tools needed for their use make them a costly endeavor.